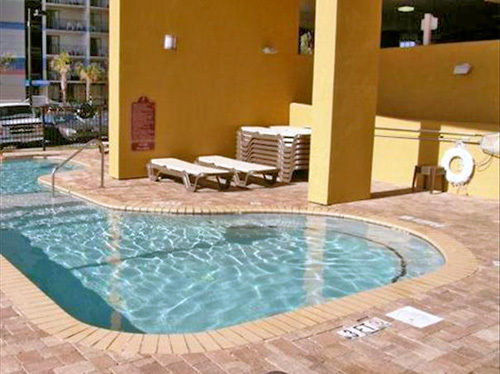 A beachfront hotel situated on Ocean Boulevard, the classic Anderson Ocean Club and Spa resort offers comfortable condo-style accommodations just minutes from Broadway at the Beach and Pine Lakes Country Club. 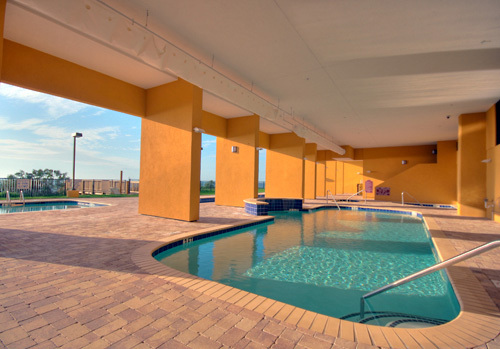 Guests can enjoy on-site amenities, such as Wi-Fi, indoor and outdoor pools, a lazy river, miniature golf, a fitness room, a business center, a seasonal poolside bar, and more. Rooms feature flat-screen TVs, washer/dryers, and dishwashers in kitchens. 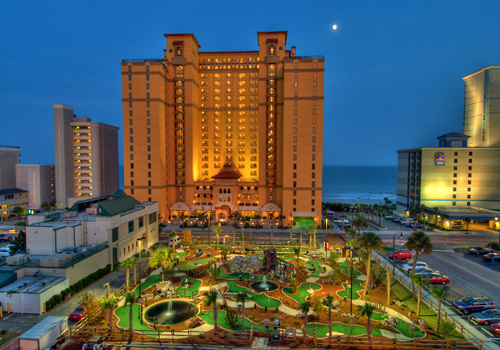 Use of indoor and outdoor pools, a lazy river, mini-golf and an exercise room. 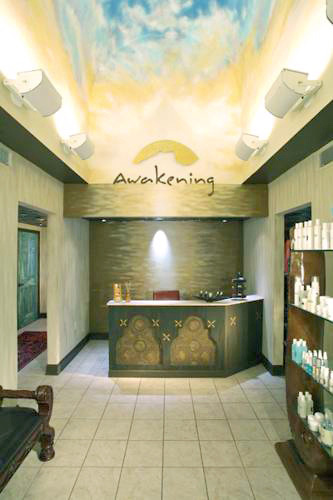 Awakening Spa, a full service day spa. 200 ft of Oceanfront Sundeck. 1.9 miles from Broadway at the Beach. Guests must be at least 23 years of age. The Anderson Ocean Club and Spa is the new standard of luxury and distinction in one of America’s most exciting vacation destinations. From its Moroccan and Spanish-Colonial architecture, to its lavish landscaping and exceptional array of recreational amenities, the Anderson Ocean Club and Spa has been designed to anticipate your every desire. 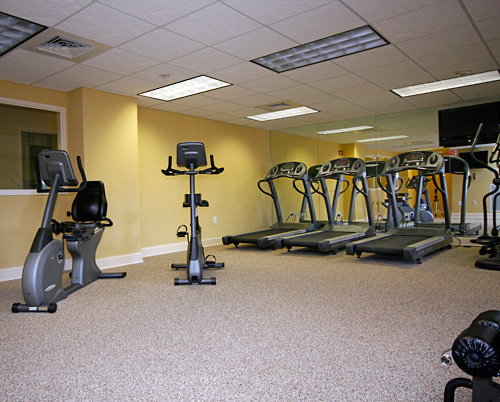 The complement of amenities at the Anderson Ocean Club and Spa includes one of the largest fitness centers you will find in an oceanfront resort and a full service day spa. The Anderson Ocean Club and Spa also features over 200 lineal feet of oceanfront sun deck, indoor and outdoor pools and spas, a lazy river, and upgraded custom pool deck pavers. You can also find on the pool deck The B Bar an oceanfront Pool bar serving cocktails, beer, and wine. Valet parking and room service are a few other notable services available to owners and guests. Whether you are seeking relaxation and rejuvenation with family or are looking for an action-packed destination, you will find it at the Anderson Ocean Club and Spa. Resort fee charged nightly and paid upon check-in. Guests must be at least 23 years of age to check-in at this property. 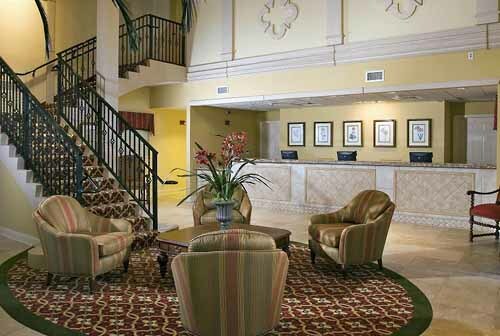 Full service periodic cleans along with trash and towels begins for guests staying 5+ nights. How many rooms are available at Anderson Ocean Club? There are 304 rooms total. 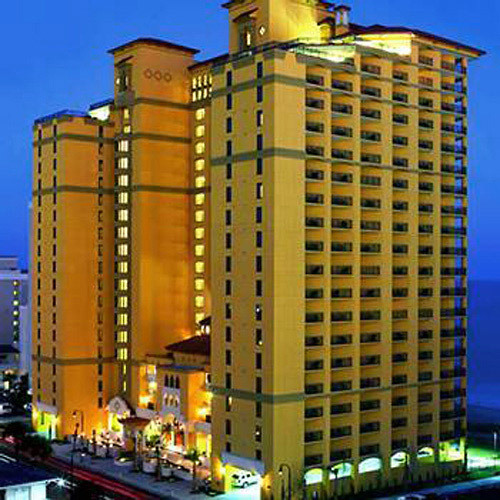 Magnolias is across the street and the resort has a coffee bar and an oceanfront bar. 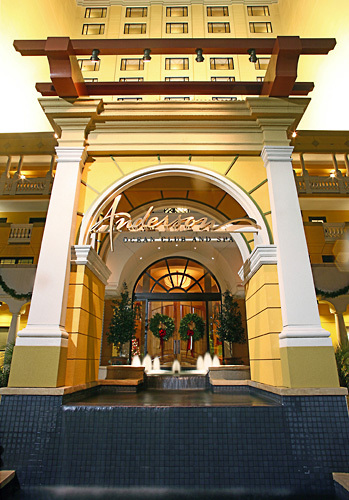 Anderson Ocean Club has a $5.00 Resort Fee, charged nightly for length of stay. There is no charge for cribs, microwaves or fridges. Roll-a-way beds available on a first come, first serve basis for a $10 per night charge. The pool is open from 8am-11pm. There is a six story parking garage located across the street from the resort one block back. Valet Parking Service is offered at $12 per day/per vehicle. Yes, the front desk is open 24 hours.